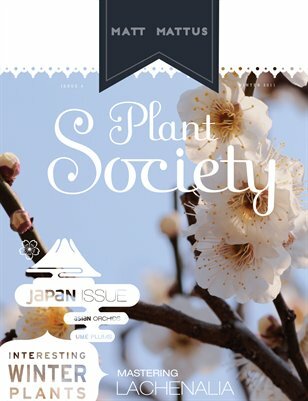 A very special winter issue for people who really love gardening and unusual plants, featuring unique winter ornamentals popular in Japan, it's also my largest issue ever with over 80 pages and no ad's. Get inspired to grow new plants, try my Master Class article on collecting and growing Lachenalia ( the South African Cape Hyacinth) in pots, rare greenhouse bulbs and more. Perfect content for the plant obsessed, or the enthusiast who is looking for something really different from what other gardening magazines offer.